When American cruise ships return to Havana, visitors will sail past 16th-century Spanish fortifications, along the esplanade and seawall, and close to the edge of historic Old Havana. This bustling metropolis of 2 million will offer the opportunity to see a city largely unchanged since the 1950s. The citizens are warm in their welcome and street musicians are everywhere. Cuba is a fascinating country and Havana, with much of the city listed as a World Heritage Site, will be an extraordinary port for cruisers to explore. Among the must-see attractions on a city tour is the National Capitol Building. Built in 1929 and used until 1959 as the seat of government, it looks very similar to the United States Capitol building in Washington, D.C., but just a few feet taller. (We were told it’s for bragging rights!) Another great stop is the vast Plaza de la Revolutión, which features a 60-foot statue of the 19th-century revolutionary poet José Martí and, on an adjacent government building, a massive mural of Cuban hero Che Guevara. 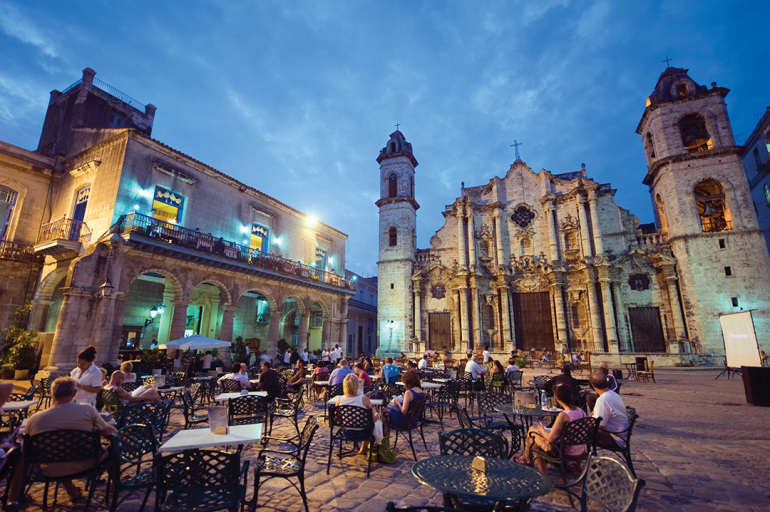 One of the most visited spots in Old Havana is the Plaza de la Catedral, site of the well-maintained 18th-century Baroque masterpiece, San Cristobal Cathedral. Along with bars and restaurants, the plaza also houses the Museum of Colonial Art. Another popular square filled with bars, restaurants, musicians, and vendors is the Plaza de Armas, site of the former U.S. Embassy. Museum lovers should head to the Museum of the Revolution (Cuban history), the Museum of Fine Arts (from Colonial to contemporary), and the Napoleon Museum (8,000 items dating from the French Revolution). This is an excerpt only. To read this article in its entirety, pick up an issue of Porthole Cruise Magazine, or check out our digital edition.